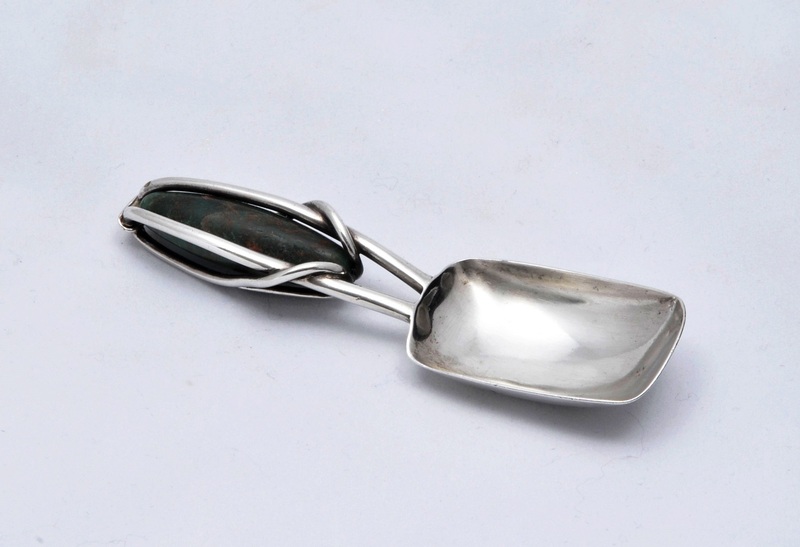 A previously unpublished exceptional caddy spoon by Archibald Knox. This appears in the Liberty sketch book, Westminster Archives, design number 500/83. The stone handle is made of a richly veined dark green Connemara marble or serpentine. The silver wire work is similar to that seen only rarely on other special Knox pieces (see Archibald Knox by Stephen Martin pages 179 and 180 for other examples). 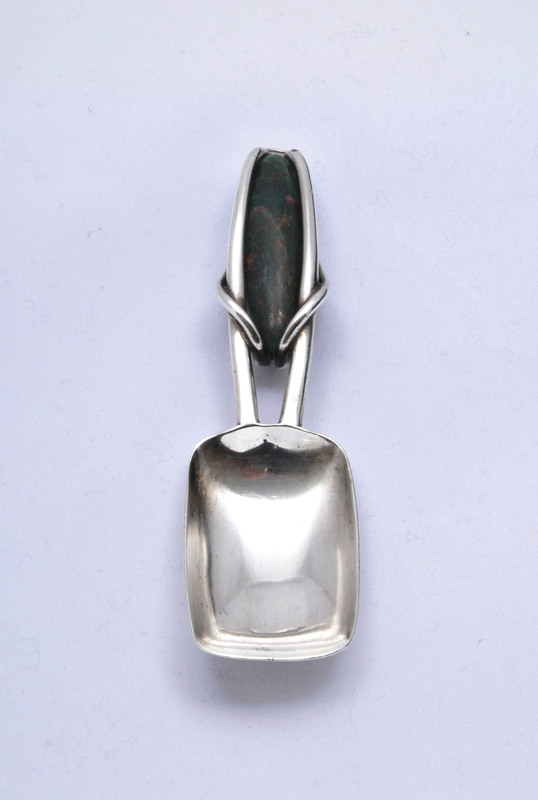 The spoon is wonderfully tactile and has a jewel like quality . It epitomizes, better than almost any other piece, Knox’s “radical modernism” as a designer that puts him in the lineage of Dresser to Hoffmann. Condition: Very good, slight split to wire work at the handle end and in join at base of the silver wire work. Not noticeable. Piece presents perfectly and is robust. L & Co mark quite rubbed. 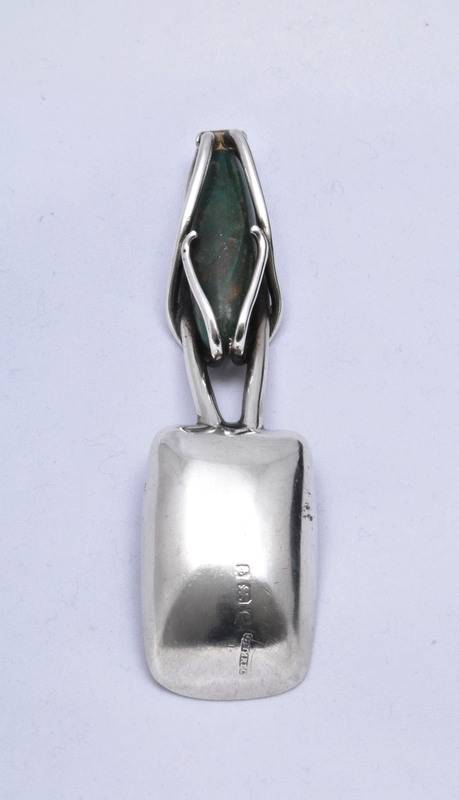 An example of this spoon was exhibited in the important Liberty & co Exhibition in Japan in 1984 and can be seen in the accompanying catalogue “Liberty Style”, Exhibit S105.